Is Playing Poker on the Internet Legal in Oklahoma? Last updated: May 16, 2018 at 12:29pm by Savanah – Tribal casinos in Oklahoma are looking to have legal sports betting. An Indian tribe in Oklahoma, Iowa Tribe of Oklahoma, launched an online gambling site in May of 2016 with play money poker and bingo catering to US players. Real money poker on the site, pokertribe.com, will only allow international customers to play which is expected to go live within a couple months. A US District Court Judge in Oklahoma City approved this in March of 2016 deeming nothing is illegal in doing so. This is a grey area but in the United States, things that are not illegal tend to be legal. Since Oklahoma’s legislature does not specifically ban gambling or playing poker for money on the internet, we are given the assumption you should not have to worry about breaking the law in this state. If you go to Oklahoma’s Government website and type in “Gambling Laws”, “Internet Gambling”, “Online Poker Gaming”, etc., you won’t find anything relevant or anything at all for that matter. Again, it is a grey matter of discussion but no records were found of Oklahoma residents being arrested, charged, and/or imprisonment. As we move forward looking at Oklahoma gaming laws it’s important to note that Oklahoma is one of only four states that allow charitable, pari-mutuel, lotteries, commercial, Indian, and racetrack forms of gambling. With that being said, the state of Oklahoma is one of the more flexible states when it comes to gambling in general. The other three states are Iowa, Louisiana, and Michigan. See how the rest of the states stack up on these six forms of gambling. To be more specific of what I mentioned in the last paragraph, the State of Oklahoma allows gambling in the form of horse racing, Class II gaming compacts and charitable games as defined in the Oklahoma Charity Games Act. They also allow casinos to operate Class III gaming which includes blackjack, poker, high-stakes bingo, and more. It’s interesting to note that the IGRA net revenue profits are used to help fund operations of local governments agencies, promote tribal economic development, fund tribal government operations, donate to charitable organizations, and to help provide for the general welfare of the Indian tribe and its members. 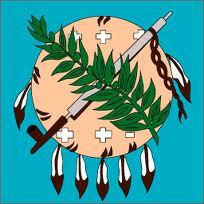 Tribal casinos in Oklahoma generate $4.2 billion in revenue in 2014, the latest numbers released. In 2003, the House and the Senate approved HB 1278 and the Senate Joint Resolution No. 22, which legalized state-operated lottery sales. Seven people were selected by the governor to be on the Oklahoma Lottery Commission to implement, run, and oversee the state lottery. The passing of the bill also included non-profit and educational organizations the allowance to run raffle ticket fundraisers which was previously illegal to do. Bona fide business transactions which are valid under the law of contracts including, but not limited to, contracts for the purchase or sale at a future date of securities or other commodities and agreements to compensation for loss caused by the happening of the chance including, but not limited to, contracts of indemnity or guaranty and life or health and accident insurance. 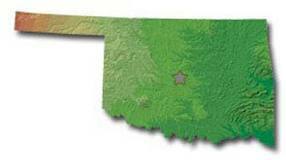 Any charity game conducted pursuant to the provisions of the Oklahoma Charity Games Act. Offers of purses, prizes or premiums to the actual participants in public and semi-public events, as follows, to wit: Rodeos, animal shows, expositions, fairs, athletic events, tournaments and other shows and contests where the participants qualify for a monetary prize or other recognition. Other Oklahoma laws written that are often highlighted are opening, conducting or carrying on gambling games as well as gambling illegally and the penalties for doing so. Basically, it’s pretty straight forward mentioning how you can be fined and spend jail time by operating or participating in illegal gambling activity depending on the circumstances. Click here for more detailed information on this state law.